She is passionate to help individuals and organizations use humour to their advantage.Croon’s presentations focus on dealing with difficult people and relieving stress through humour. “Laughter is a powerful tool for managing conflict and reducing tension when emotions are running high,” Croon says. 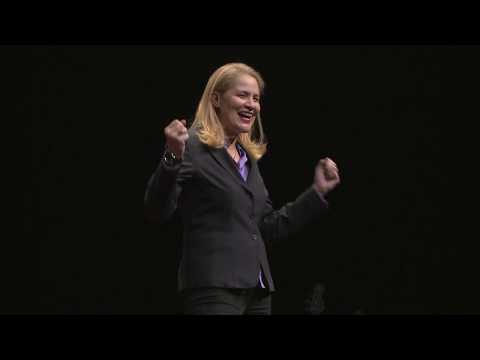 Her presentations show the scientific proof on how when we laugh our bodies release endorphins and dopamine, our brain’s feel-good chemicals. The result? We can better cope with stress, have stronger mental health, boost our immune systems. and lighten our moods. The Toronto-based comedian, motivational speaker and humour coach says being able to laugh at yourself is instrumental to surviving difficult times. On the stage, she draws from her performance experience, wit, and insight to entertain, inform and inspire in her dynamic keynotes and half day workshops. Judy Croon uses the powerful tool of comedy to get her message across but she also helps others get their message across by improving their pitch and presentation skills. Croon can be heard everyday at 5pm on LTD Radio – The Power of Positive. Judy Croon has been the opening act for many celebrities including; Joan Rivers, John Stewart,Lewis Black and Robert Klein. Her specials have appeared on NBC, CBS, CTV and The Comedy Network. When she’s off stage, she devotes most of her time to shining the light on people and causes that often get overlooked. Croon gives hours of charity work to many organizations which ranges from weekly deliveries of basic supplies to families living in need, to hosting comedy benefit gala shows that raise money for aid organizations around the city. Judy Croon is passionate to help others with their health, relationships and their lives. Her presentations are high energy, full of humour, and offer audiences practical insights that they can use right after the presentation. In showbiz, a heckler is a person in the audience who disrupts the show. In business, a heckler is the person who disrupts the flow. As a performer, Judy notes that there are (3) specific types of hecklers in an audience: bullies, snipers and buffoons. In her experience working with business clients, Judy notes there is distinct correlation with hecklers in the audience and hecklers in the workplace, including customers. The strategies that Judy has developed as a performer in dealing with hecklers are extremely effective in a work environment. Not only do these strategies improve the culture in the office, improve productivity, efficiency and decrease bullying and absenteeism, but they’re also always good for a laugh or two. Judy is a stand-up coach at Second City, MoSpeakers Big Day Academy and she also teaches privately. She is the author of Stand-Up Comedy School: Stand Up in 10 Steps. 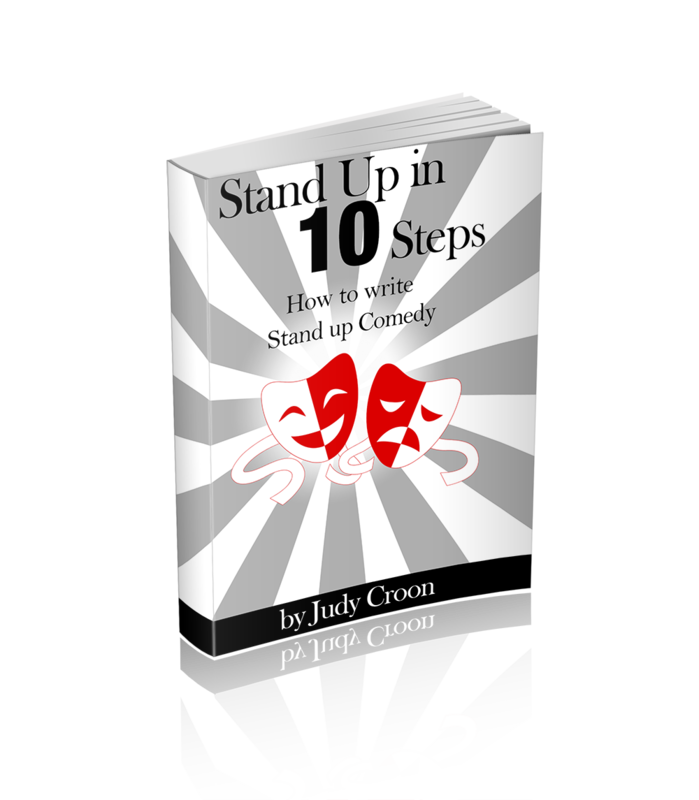 Stand Up in 10 Steps is a hands-on workbook for comedians, corporate speakers and anyone who just wants to be funny! Judy uses the powerful tool of comedy to help others get their message across, improve their presentation skills and fight stress. Judy has a vast amount of experience as a keynote speaker for conferences and team building events. Her background is as a professional comedian, with a specialization in motivational speaking and adult learning. Judy is able to provide customized presentations & workshops, to suit your needs. Realize that EVERYONE has a funny bone! As an after-dinner comedian, Judy is at the top of her game. Her quick delivery, impeccable timing, and hilariously-unique slant, makes her one of the most sought after comedians in the country. She is a perfect fit to lighten the mood and entertain any audience for any type of corporate event or conference. Check out this new book that Judy has co-written with fellow speakers; Judy Suke, Meg Soper and Susan Stewart. A collection of: -Funny stories -Life lessons -Inspiring quotes -Great everyday tips Judy’s chapters are: -To Hell Gigs and Back -Rubber Chicken Soup -Punchlines on Purpose -Relieving Stress with Humour From Judy’s chapters, you’ll learn: -the medical benefits of comedy -how to deal with Bullies, Snipers and Buffoons -the 7 Ingredients to Living Well that Don’t Include Tofu -how to increase your chances of surviving a heart attack by five times -how to clean tough stains and vacuum those hard to reach places –NOT!